Case Red and New Holland Blue keep truck colors in the family. Ram has added two new colors for its "farm" trucks: Case Red, above, and New Holland Blue. 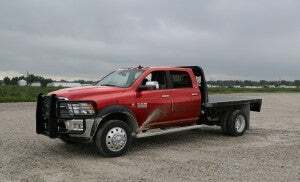 Fiat Chrysler Automobiles N.V. plans to utilize the colors from farming equipment to enhance the appeal of Ram in the nation’s farming communities. 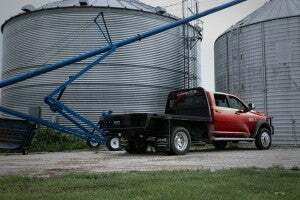 The 2018 Ram Chassis Cab Harvest Edition is specifically designed for farming. The truck is visually distinguished by two limited availability colors: Case IH Red and New Holland Blue. Case IH and New Holland farm tractors and other agricultural equipment are manufactured by subsidiaries of CNH Industrial. CNH Industrial N.V. shares a common ancestry with Fiat Chrysler Automobiles N.V. CNH, which like Fiat Chrysler N.V., which are controlled by Exor, the holding company owned by the Agnellis, Fiat’s founding family. Besides the Case Red and New Holland Blue, the Harvest Edition will also be available in Brilliant Black and Bright White. “Addressing a direct request from farmers, Ram is the only manufacturer to offer Chassis Cab commercial trucks in colors that match two of the most popular lines of farm equipment in the nation,” noted Jim Morrison, head of Ram Brand – FCA North America. Ram's farm trucks can now be had in two new colors: Case Red and New Holland Blue. 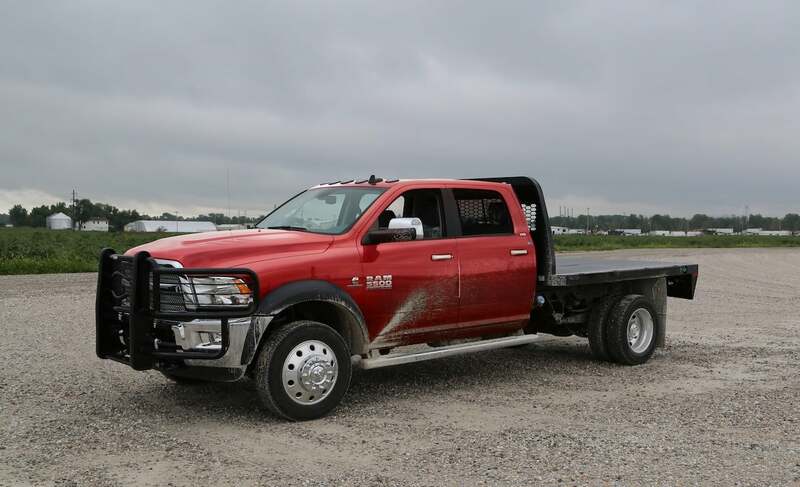 “The Ram Harvest Edition Chassis Cab delivers high capability and gives farming families a way to show their agricultural brand loyalty,” Morrison said. Ram launched 1500, 2500 and 3500 pickup versions of the Harvest Edition in August 2017. The Harvest Edition will be available across the Ram 3500, 4500 and 5500 (60-inch and 80-inch cab-to-axle lengths) chassis cab line-up, in all four-door Crew Cab and two-door Regular Cab configurations. Optional powertrains include 4×4 versions of the 6.4-liter Hemi V-8 or 6.7-liter Cummins Turbo Diesel. Harvest Edition Chassis Cab trucks are also loaded with functional features that are designed to work. Among them, large front tow hooks, a transfer-case skid plate, side steps, fog lamps and a rear back-up camera. The Harvest Edition also come standard with technology farmers are looking for, including an 8.4-inch Uconnect 4C touchscreen radio with navigation, 4G Wifi capability, Apple CarPlay and Android Auto, which gives buyers seamless connectivity, fingertip access to smartphone map mirroring, and Sirius Weather with up-to-the minute weather maps and forecasts customizable to any location in the nation. A large 7-inch reconfigurable cluster allows operators to monitor selected systems such as filter life, engine hours and operating temperatures. It also comes with an auto-dimming rear-view mirror, leather-wrapped steering wheel, steering-wheel audio controls and power-sliding rear window (Crew Cab). The Harvest Edition features a premium exterior appearance packed with chrome highlights, including the grille, side-steps, door handles and mirrors. Polished aluminum wheels enhance all four corners, including 18-inch on 3500 models and 19.5-inch on 4500 and 5500 models. The truck isn’t cheap. The Ram 3500 MSRP starts at $43,990. This entry was posted on Tuesday, September 11th, 2018 at and is filed under Automakers, Business, Markets, Pickups, Ram, Sales, Sales, Trends, U.S./North America. You can follow any responses to this entry through the RSS 2.0 feed. Both comments and pings are currently closed.